Talk to your therapist about any areas to be avoided or any conditions that may affect your massage. Also let the therapist know if you have any sensitivities or discomfort. Communication is the key to getting the massage you want. If you have any recent injuries or are chronically sore, our therapists will help you, to the best of their knowledge, to achieve relief. Our massage staff is devoted to giving you a massage tailored to your needs. When selecting a massage, think of what you would like to get out of the session. If you want to unwind, a relaxing massage is the one for you. If you need some areas attended to, our therapeutic massage may be what you want. The following experiences have been developed to utilize the talents of our established team of massage professionals. Each treatment will be customized to your personal preference and needs. All massage and body treatments are provided by licensed therapists who are highly skilled and well-trained in a variety of techniques to provide the utmost comfort and relaxation. Talk to your therapist about any areas to be avoided or any conditions that may affect your massage. Also let the therapist know if you have any sensitivities or discomfort. Communication is the key to getting the massage you want. If you have any recent injuries or are chronically sore, our therapists will help you, to the best of their knowledge, to achieve relief. Our massage staff is devoted to giving you a massage tailored to your needs. When selecting a massage, think of what you would like to get out of the session. If you want to unwind, a relaxing massage is the one for you. If you need some areas attended to, our therapeutic massage may be what you want. The following experiences have been developed to utilize the talents of our established team of massage professionals. Each treatment will be customized to your personal preference and needs. All massage and body treatments are provided by licensed therapists who are highly skilled and well-trained in a variety of techniques to provide the utmost comfort and relaxation. A form of traditional Chinese technique. Reflexology is done using massage strokes on the feet, hands, and ears. This results in relaxing and balancing the body as a whole. 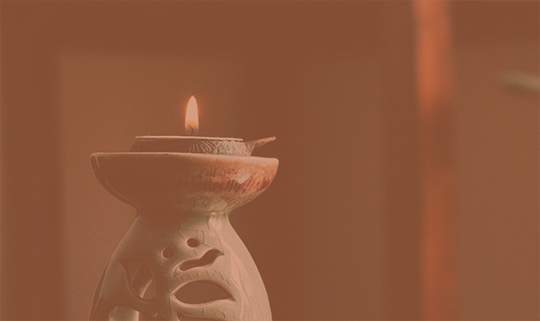 Aromatherapy is a light massage that has for many years been part of a natural healing tradition. This type of massage applies essential oils to revive, restore, and heal the body.